It’s not old-school roller-skating, and not entirely like the movie Whip It. 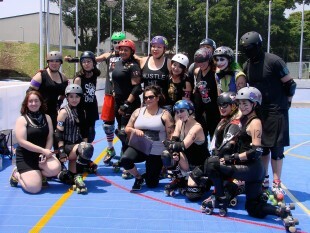 Local female roller derby teams possess punky edge and athleticism, minus the drama. “There’s no clothes-lining,” says Zama Killer Katanas (ZKK) president Naomi Begley (skater name: I AMRAAM). 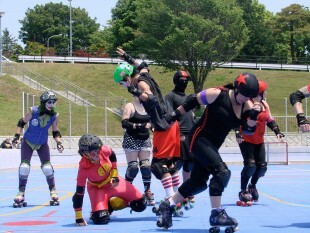 The ZKKs compete with a number of local women’s teams, including Tokyo Roller Girls (TRG), Yokosuka Sushi Rollers (YSR) and Yokota Scary Blossoms (YSB), all of which are always on the lookout for new skaters. “Anybody with the interest, dedication and ability to acquire the proper gear can join us,” says TRG’s Patricia Hellga (skater name: Hammerhead). 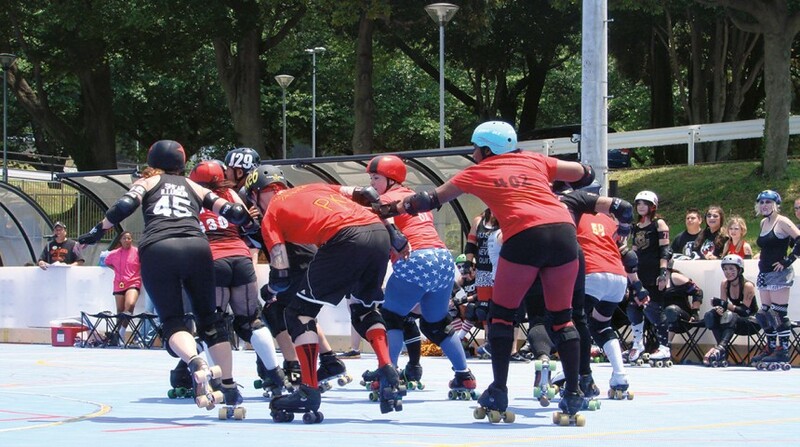 Bouts consist of shorter matchups called “jams,” for which each team picks a “jammer,” or scoring player, to snag points by lapping members of the opposing team. Teams assist their own jammer by hindering the one on the opposing team—essentially playing offense and defense at the same time. Lady derby is played by approximately 1,250 amateur leagues worldwide, governed by the Women’s Flat Track Derby Association (WFTDA). Rules and safety are sacred, with trained referees, non-skating officials (NSOs) and players pitching in to securely and accurately tape down the rope that either reinforces or delineates the derby track at bout sites. “There are rigorous rules as well as written and physical tests,” says Santiago. 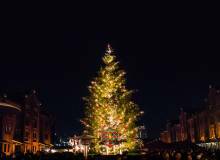 “We’re all trying to bring derby to the greater public and give it greater visibility,” Hellga says, adding that their main challenge is space in Tokyo versus funds. “Up to this point, all of our league’s bouting has happened on military bases—for which we are so grateful. At the same time, I think that finding an off-base venue is key to spreading derby in Japan and getting seen by the public at large.” In fact, most gym floors are of a high enough grade for derby, and the skate wheels are smooth and don’t damage these floors, no matter how heated the bout gets. The fall schedule includes a number of tournaments, fundraisers, double-headers and all-star bouts. There’s also a junior league for ages 7-17, and the teams are always on the lookout for refs and NSOs. No experience necessary—the team will gladly teach you how to skate.